Discover the la Alcogida Ecomuseum in Tefia, Puerto del Rosario, Fuerteventura. 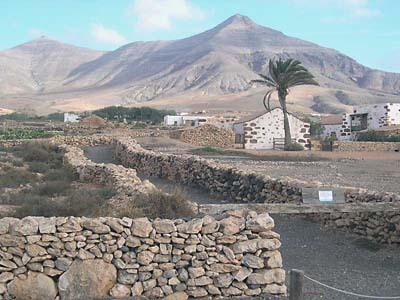 The La Alcogida ecomuseum is located on the charming town of Tefia which belongs to the municipality of Puerto del Rosario, on the north of Fuerteventura. In the Canary Islands. 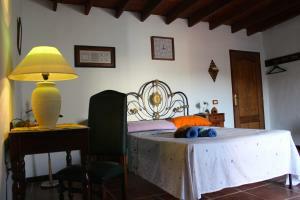 In the La Alcogida Ecomuseum we’ll see a set of representative villas with typical traditional architecture of Fuerteventura. All houses are well enclosed by stone walls within which you might see terrains dedicated to different activities such as raising cattle or planting different species. This set of houses exemplifies in a perfect way the traditional life of the inhabitants of this island and this is why it has converted into an Ecomuseum. On this museum you might see a recreation of the rural life and its craftwork, agriculture and cattle raising activities. Moreover the Ecomuseum also has two ethnographic houses with tools that these farmer families used on a daily basis. In this museum you might see the purest craftwork arts of this island while enjoying its facilities, the canteen, the animals, several traditional games, typical dishes and a shop. To get to the Alcogida Ecomuseum it’s advisable to rent a car, if you’re on the north of this island as, for example, the Corralejo you should get the FV-101 in direction to Puerto del Rosario. Before reaching it you should exit to Tefia through the FV210 road. If you’re coming from south (Pájara, Betancuria, etc.) you should catch the FV-30 till Tefia exit through the FV210.